It’s time to believe again in the power of music! SOUVENIR is the true story of one of opera’s most unforgettable stars. Florence Foster Jenkins, an eccentric and wealthy New York socialite, believes she is an enchanting coloratura soprano and she wants to share her talent with the world. After teaming up with a new pianist, Cosmé McMoon, she begins to hold recitals at the Ritz Carlton, festooned in fabulous costumes. She becomes a sensation! Unfortunately, the truth is Mrs. Jenkins can’t sing. 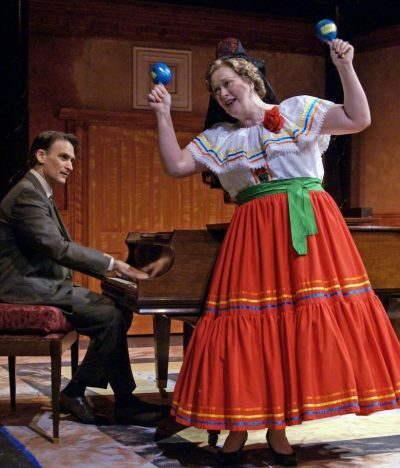 But, there’s more than one way to get to Carnegie Hall… Based on a true story that became the Oscar nominated Meryl Streep/Hugh Grant film “Florence Foster Jenkins”, this tuneful comedy beguiles the hopeful artist that lives in us all. 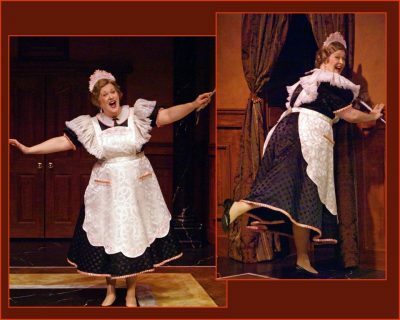 LIZ McCARTNEY (Florence Foster Jenkins) has appeared on Broadway as Carlotta in The Phantom of the Opera (also tour/San Francisco), Rosie in Mamma Mia! and Madame Thenardier in Les Miserables. Other Broadway credits include Thoroughly Modern Millie, Taboo, Dance of the Vampires, and the revivals of Annie and South Pacific. Liz was also in the New York City Center Encores! productions of Carnival, Sunday in the Park with George, and God Bless You, Mr. Rosewater. Her national tour credits include Madame Morrible in Wicked, the Fairy Godmother in Rodgers + Hammerstein’s Cinderella and Magenta/Trixie in The Rocky Horror Show with Meat Loaf. 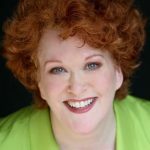 In regional theatre, she played the Witch in Into the Woods (Ordway/Sacramento Music Theatre), May DeVere in Fifty Million Frenchmen (Pittsburgh Public), and Elizabeth Woodling in Paint Your Wagon (Goodspeed). Her television work includes The Blacklist, Bull, Murphy Brown, Route 66, The Prosecutors, and Law & Order: SVU. Most recently on Broadway, Liz appeared in the Lincoln Center revival of My Fair Lady with Lauren Ambrose and the revival of Sunday in the Park with George starring Jake Gyllenhaal. 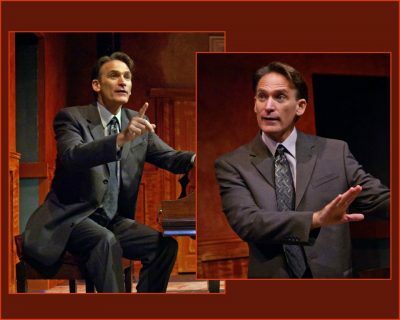 BOB STILLMAN (Cosme McMoon) has had a 30-­year career as a singer, actor, songwriter, music director and teacher. He’s been nominated twice for Tony awards—as an actor in Claudia Shear’s Dirty Blonde, and as one of the songwriters for Urban Cowboy: The Musical—and for a Drama Desk award for Hello Again at Transport Group. On Broadway, he has played Molina in Kiss of the Spider Woman, Gould in Grey Gardens, Erik in Grand Hotel, and Sam Harris in Act One. Other Broadway credits include Living on Love, Souvenir, and standing by for Nathan Lane, Matthew Broderick and F. Murray Abraham in the hit comedy It’s Only A Play. Off­Broadway, he played both Dukes in John Doyle’s As You Like It at CSC, Abe Lincoln in Paula Vogel’s A Civil War Christmas, Lord Amiens in As You Like It in Central Park, Gideon in the cult hit The Last Session, and was an original cast member of Adam Guettel’s groundbreaking Saturn Returns (recorded as Myths and Hymns) at the Public. Bob was nominated for Chicago’s Jefferson Award for his performance as Candide at the Goodman. As a singer/songwriter Bob has performed at Joe’s Pub, the Cutting Room, 54 Below, Birdland, The Bitter End and many other New York venues. 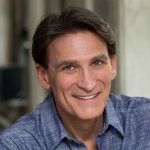 He has travelled around the country starring in, and music directing, a series of tributes to the great singer/songwriters (James Taylor, Joni Mitchell, Bob Dylan, John Denver, Dan Fogelberg).He graduated with honors in Music Composition from Princeton University, and is currently on the voice faculty of the Musical Theater Program at the Manhattan School of Music. SOUVENIR production photos (above) courtesy of Good Theater, production directed by Brian P. Allen, photos by Steve Underwood.